This review is about item#35131573. I like it because it is easy to use. In fact, it has been lost for a while and becomes the second unit. Because it is used at the time of machining, you can buy at this price and the function is enough. Since the calculation formula remains in the upper part of the liquid crystal, it is easy to confirm the input value. Although contradictory but large in size, handling is easy, but there is something in trouble with the place. 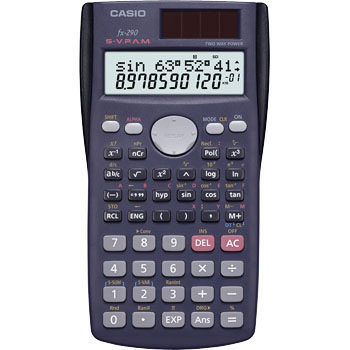 It is harder to use than Casio's computer that I used before. When designing electronic circuits, etc.